“Authenticity” is such an interesting part of art crime and illicit antiquities research. The need for an object to be “real” seems to be a poorly examined aspect of collecting. Known copies or unknown forgeries are treated like the scourge of the art world. Moreover, tales of fakes and fakers are gleefully consumed by the general public. Ascribed value, reality, authenticity, and so forth appear to be an important aspect of the human experience of art. As it turns out, there is neurological proof of this. Frontiers in Neuroscience has just published a paper by a team of neuroscientists from Oxford: Mengfei Huang, Holly Bridge, Martin J. Kemp. Entitled “Human cortical activity evoked by the assignment of authenticity when viewing works of art”, the authors devised an experiment where research subjects were shown a series of Rembrandt paintings while their brains were being fMRI’ed. In their own words, “use of this image set allowed us to separate the brain’s response to images of genuine and fake pictures from the brain’s response to external advice about the authenticity of the paintings.” Basically the authors of this paper wanted to see, first, if we experience real and fake Rembrandts in neurologically different ways and, second, if we experience what we are TOLD are real and fake Rembrandts in neurologically different ways. The authors begin by noting that our understanding of the ‘realness’ or ‘fakeness’ of a piece might have a significant effect on our experience of the piece as an art object. While previous fMRI studies have shown that the neurological experience of art goes far beyond the visual, the effect of non-visual authenticity information has only been an area of discussion in art-history. Authority figures come into play here: so-called expert opinion is highly influential on how art is received. The question is, then, what happens neurologically when we are told by an authority figure that a piece of art is either “real” or “fake”? The results were super interesting. To risk simplifying them beyond use, the authors found that subjects experienced (neurological) reward when told that a Rembrandt that they were viewing was “real” and they found that subjects brains freaked out a little when told that a Rembrandt that they were viewing was not “real”. 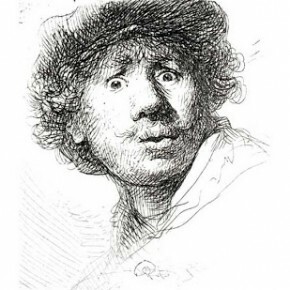 the authors found that subjects’ brains responded the same to real Rembrandts as to fake Rembrandts when they had no knowledge that a piece might be fake, i.e. with no info to go on, they experienced real and fake Rembrandts the same way. when told that a piece they were looking at was fake, “participants reported that they were actively engaged in trying to detect the flaws in the presented image to gain confirmatory evidence in favor of the assignment”; this was seen in the fMRI. when told that a piece they were looking at was real, the only part of the brain that lit up was the area associated with reward and monetary gain which researchers link to an increase in the perceived value of the artwork. it didn’t matter if the fake was really a fake, or if the real piece was really a real piece. All that mattered was what the researchers called it. Their conclusion, then, is that authenticity as assigned by an expert has a clear effect on how non-expert audiences experience any particular artwork at a neurological level. Calling a “real” masterpiece a fake and a “fake” masterpiece real has non-subtle results. This fits in to what many of us see as an almost strange power that certain experts have over the “value” of art as well as anecdotal and personal evidence which indicates that if there is any question to an object’s authenticity, we can never see it the same again. 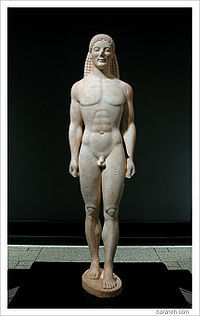 Take, for one obvious example, the Getty Kouros. Fake or not, I find that every time I see a photo of it I look for flaws much like the subjects in this study. It is undeniably a well made piece, interesting and beautiful for what it is no matter when it was made, yet I see it as a potential fake and thus as suspect. Or, in a particularly embarrassing example, I was 100% sure that the lintels from Yaxchilan were in Mexico and that the pieces in the British Museum were “fakes”: plaster casts of the real objects made by Alfred Maudslay in the late 1800s. I went so far as to stick my finger right into the bas relief, showing my companion what I saw as a seam in the plaster. 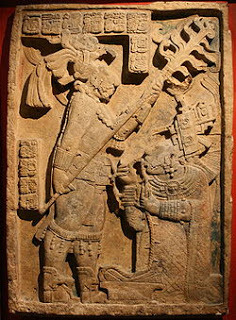 There were lasers going across it, the alarm sounded, the security guards came, they were the real Yaxchilan lintels. I had looked at them for two years as casts in my mind, and I could honestly feel my experience of them change as the polite but stern guard told me to cut it out. Anyhow, I want to think about these sorts of results as they might apply to research into the sale and collection of antiquities. Talking purely of discouragement and prevention, if we have a neurological aversion to fakes perhaps that is what we need to play up to the general public. Explanation of the destruction of context is a noble pursuit, but perhaps more time should be spent promoting major fakes, publicizing clear fakes that appear in auction catalogs, and all around sowing the seeds of doubt.